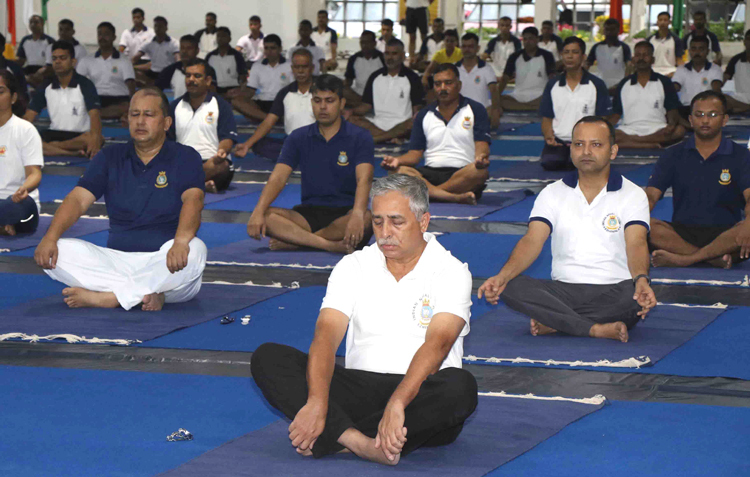 The Yoga instructional camp was aimed to create awareness amongst the station personnel about numerous benefits of this ancient practice and to make the practice of Yoga an integral part of life in keeping with this year theme 'Yoga for Peace'. 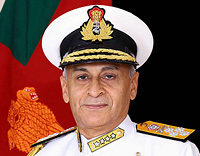 More than 120 Service personnel and defence civilians from Indian Naval Academy (INA), INS Zamorin, INHS Navjivani, School children from Navy Children School, Kendriya Vidyalaya, Ezhimala and family members participated in large numbers and performed various asanas, pranayam and meditation as part of this mega event. Glimpse from the mass yoga demonstration commemorating the 4th International Day of Yoga held at Indian Naval Academy. More than 120 Service personnel and defence civilians from Indian Naval Academy (INA), INS Zamorin, INHS Navjivani, School children from Navy Children School, Kendriya Vidyalaya, Ezhimala and family members participated in large numbers and performed various asanas, pranayam and meditation as part of this mega event.